If you are looking for a change of scenery and some traffic light free riding, Batam cycling is a good option. By taking a 45 minutes boat ride from Singapore over to the island of Batam, Indonesia you can ride well paved roads with very little traffic making Batam perfect for a cycling day trip. For me, escaping the metropolis is a welcome change from the traffic lights and constant start-stop nature of cycling in Singapore. 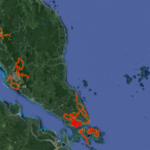 Two popular Batam cycling routes are the Nongsa loop and the 6 bridges route. First lets look at the Nongsa loop. Its a 12 km loop with 50 metres of climbing on each loop. The road is undulating and lumpy, challenging but fast. Each loop should take you somewhere between 20 and 40 minutes to complete. To get to Nongsa you will need to depart Singapore from TanahMerrah ferry terminal towards Nongsa Resort terminal. This will drop you right onto the loop. I recommend taking the BatamFast ferry and your return ticket should come in around S$50. Leaving the terminal if you turn left and continue clockwise onto the loop you will ride the same direction as the Cycosports Nongsa Challenge (entries open for 2017 now). There are a couple of shops and a restaurant at the Nongsa Resort terminal to stop and fill up water or grab a snack before heading out on the loop. Stopping mid ride to refuel at the ferry terminal is your best option. Likewise post ride beers and ice cream at the terminal before you return to Singapore is the way to go. With the Nongsa loop you can choose to ride as many or as few loops as you like making it great for training with people of varying abilities. Faster riders can get more loops in and slower riders can enjoy loops at their own pace. Riding the 6 bridges route is a little more of an undertaking at around 170km total, from the ferry terminal to the roundabout and back to the ferry. You can always shorten the ride and turn around whenever you like. This also makes the route perfect for groups of varying abilities and speeds. The road to Barelang is also undulating and lumpy. It can be a long, hot and lonely day. Make sure to stop for water and drinks when you can. 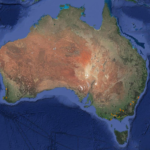 There are a few options along the way but for the most part the southern islands are filled with farmland so options can be limited. Getting there, you should take the BatamFast ferry from Harbourfront across to Sekupang or to Batam Centre then head towards the Trans Barelang road. Riding from Batam Centre you will have to negotiate more traffic and lights as you will be riding through the centre of town. It is roughly 10km from either ferry terminal to the start of the Barelang road. The Barelang road is the main road through the southern islands and the road you will want to follow. Keep heading south until you find a roundabout after roughly 85km. Here you turn around and ride the same road back. The ride south is generally quite fast. It could be due to the fact you have fresh legs. It might also be a slight negative elevation split along the road to the round-a-bout.The ride north feels slower and more painful. This could be because of the heat. The fact that your legs are now tired or a slight positive elevation split back to the ferry. As for lunch options; I recommend stopping on the return leg if required, you can stop at the seafood restaurant located just off to the left after the Batam bridge. Alternatively if you are heading back into Batam Centre there is a nice restaurant next to the Integrated Riding Bike shop called Mie Tarempa. I would recommend riding back to Sekupang as the road is quieter with less traffic. Your ride time will vary for both routes. Plan for upwards of 5 hours based on speed, group ability and number of stops, it is a long day out in the sun. Remember to take your sunscreen. Cycling in Batam on either the Nongsa and Barelang routes can be done as a day trip with little-to-no organisation. It’s also very possible to complete both routes as solo rides. Enough food for 5-6 hours on the bike if you are riding the bridges. 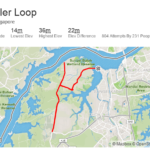 For a list of Island side rides, have a look at more Singapore Routes and Rides. Leave a message if you are interested in riding either route. I will be cycling in Batam over the coming months. First, woot woot! a blog! Starting is always the hardest part. Finally, goddamit (neo/harvey) where are the photos, sir! You must have something! Perhaps you could include, please? From the beginner beginner beginner level I would recommend getting some KM's island side and be confident to ride up to 50 kms in a ride. Then I would say the Nongsa loop would be the easier of the 2 once you get to a more beginner-intermediate level. 3 of us ladies plan to do the 6-bridges ride using foldies on 21Jan2018. we intend to stay a night & not push ourselves too much. do you know whether there are any accomodation available or appreciate if you could share any additional information with us. Awesome, It’s a great route! I’m sure you’ll have an enjoyable ride over there. Along the Trans Barelang Road I would say finding accommodation would be difficult. I would look at staying somewhere in Batam itself or you could look at a resort in Nongsa for a more relaxed stay. Hi, do u know of any service vehicle to guide us thru the 6 bridges? Hi Jamie, I don’t have a contact in Batam, however you could try and reach out to Integrated Riding as they have a shop on Batam and may know someone, or be able to assist. I’m always up for a Barelang blat! Great question. When booking the ferry there is an option to add a bike per ticket. I don’t believe there is a fixed limit of bikes. When you check in, the baggage counter will take your bike and you can collect it again in Batam. The same goes for the return journey. I’m not sure about bike rental in Batam. If you are looking for something at the beginner level I would say riding around the loop of Jalan Hang Lekiu in the Nongsa area would be challenging but nice.